One of 2016's most acclaimed indie hits, eerie period horror The Witch brought the house down at the Sundance Film Festival before going on to terrify the entire world. A remarkably assured debut feature from Robert Eggers, it's the chilling story of a family in 17th century New England who are expelled from their community on account of the father's fire and brimstone religious leanings. Sent to live on the edge of a forbidding wood, the domestic unit begins to fall apart when their baby appears to be abducted by supernatural forces - does a witch live in the forest, or is the threat coming from within? As much an authentic historical drama as it is a terrifying story of psychological breakdown, the film blends an authentically muddy and bleak depiction of the period with excellent performances (Anya Taylor-Joy as eldest daughter Thomasin is a standout) and richly authentic dialogue derived from real period sources. Completing the film's transporting and engrossing atmosphere is the truly unsettling score from Canadian instrumentalist and singer/songwriter Mark Korven. 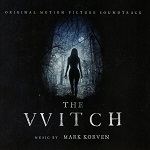 An accomplished violinist with a background in rock music, Korven has composed several scores for film and television before, most notably cult 1997 sci-fi thriller Cube, but The Witch is his most high-profile film work so far. Unsurprisingly this is a score tailored for its respective movie; a standalone listen threatens to induce a nervous breakdown, so unremittingly ghoulish is it. It channels atonal and dissonant masters like Stravinsky and Bartok brilliantly, shuddering and shrieking its way across 40 frightening minutes and garnering enormous mileage from the force of the string section. The despairing 'What Went We' kicks everything off with the folksy sound of medieval stringed instrument the nyckelharpa, the most attractive element in a dark score, laid over a churning bed of cello and bass - humanity pitted against a sense of evil. 'Banished' suppresses the melody to a few fleeting, jumpy notes, Korven instead emphasising the broiling, brooding terror of the wider string section and a spine-tingling choral glissando (courtesy of The Element Choir) to further convey a sense of dread. 'A Witch Stole Sam' again builds inexorably with the choir and bass rising from the depths; skittery percussive effects add more texture as the music takes on a distinctly evil language of its own through the power of the voices and musical ensemble. 'Hare in the Woods' and 'I Am The Witch Mercy' play around with a more understated, but no less creeping, sense of dread, the cello grinding away at the nerves whereas the subtly altered harmonics of 'Foster the Children' convey more a sense of desperation than outright fear, the music pitched at a mournful register. Korven's use of stark percussion and hurdy-gurdy to convey a sense of isolation in 'Caleb is Lost' is quite brilliant but the score's real showstopper is the genuinely petrifying 'Caleb's Seduction' (accompanying what is surely one of the most flesh-creeping scenes in recent cinema as the eldest son of the family, on the cusp of adolesence, is seduced by an attractive visage of the witch herself). Korven again utilises the discordant mass of the string section, carefully honing a sense of tempo and texture to convey the essence of something horrible skulking ever closer before a choral glissando and final burst of percussion brings everything to a startling close. It's fiercely modernistic music that also manages to be appropriate in depicting the period of the movie, a superb achievement. 'Caleb's Death' is one of the score's more compassionate cues (relatively speaking), the strings laced with a sense of tragedy that is steadily overtaken by the brooding sense of evil overshadowing the entire score. 'William and Thomasin' and 'William's Confession' are both similarly pensive, not scary per se but laced with a sense of impending catastrophe, especially when the percussion section kicks in; that Korven is able to use his limited musical chamber piece ensemble to convey such a nuanced variety of moods is remarkable. 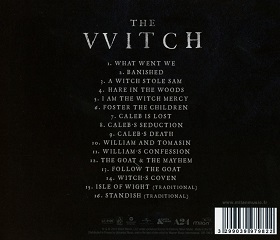 Needless to say the sense of terror is swiftly restored in the final triple-whammy of 'The Goat and the Mayhem' (whose relentless percussion and shrieking strings are truly alarming), 'Follow That Goat' and 'Witches Coven', tracks that bring together all the skin-prickling orchestral and choral stylistics of the score to build to a genuinely spooky climax. In particular the shouting vocal effects of the latter track mark some of the most unnerving horror writing in recent memory, not reinforcing the threat of the witch so much as yelling it in our faces. The album then concludes with two folk tunes from the period in which the movie is set, Isle of Wight and Standish, both of which help lend yet more authenticity to the experience of the score as a whole. It's superbly wrought music that works wonders for its respective movie - at times it's less of a score and more of a leering, mocking language teasing at a devilish threat lurking just out of sight - although one would be hard-pressed to listen to it repeatedly on its own terms. The challenging and brutal nature of the music calls to mind Mica Levi's Under the Skin: technically masterful, immaculately crafted but endlessly dark. Nevertheless the primary function of any honest-to-good film score is to serve its movie and for that, Mark Korven deserves nothing but the highest praise. 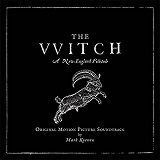 For avoiding cheap dramatics and honing an authentic-sounding score that enhances Robert Eggers' vision tremendously, Korven has come up with one of the most effective horror scores in recent memory. Happy Halloween!